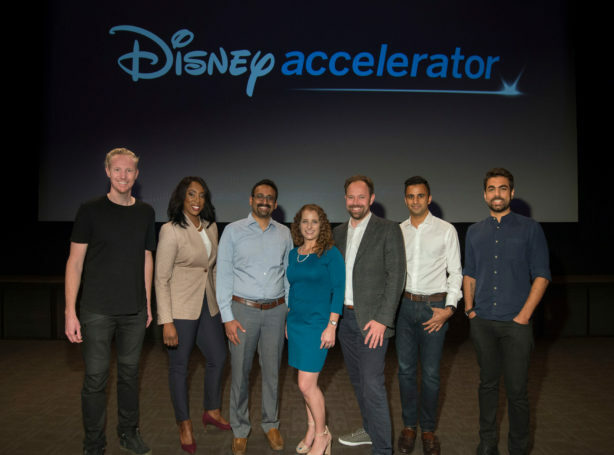 Connection is at the heart of the Disney Accelerator program, which provides a select group of start-up companies access to all the creativity, imagination and expertise of The Walt Disney Company and its businesses. Leaders from across the worlds of Disney lend their mentorship and support to these growing companies and enable them to reach higher to bring innovative new products and services to consumers all around the globe. That theme of connection resonated throughout the 2018 Disney Accelerator Demo Day, held at The Walt Disney Studios lot in Burbank, California, and live streamed on ABCNews.com, as seven visionary CEOs presented their companies’ missions, which range from making high-quality online education available to kids everywhere and creating a live television experience that can be shared among friends, no matter where they are in the world; to bringing renewable power to developing nations and making energy effortlessly accessible to everyone. Founder and CEO Ethan Agarwal experienced the transformative power of exercise firsthand. But while people have quite naturally developed new habits of consuming leisure content, such as movies, TV and books, there’s been a lag in how most consumers integrate physical activity into their lives. “We need to take what we know about creating great leisure content and apply that to great exercise content in order to develop exercise habits,” said Agarwal. Unsupervised is transforming artificial intelligence (AI) by removing the elements of human error and bias. Noah Horton, founder and CEO, explained, “In unsupervised learning, the machine starts from the data, so there’s no opportunity for humans to layer in their biases or their mistakes at the start, and what comes out are patterns that people can look for.” Those patterns, Horton stresses, lead to brilliant and creative ideas. In establishing HopSkipDrive, Joanna McFarland, co-founder and CEO (and parent), was inspired by the logistical challenges of getting her children where they needed to be. The technology-enabled ride service for kids relies upon highly vetted care drivers behind the wheel to solve mobility issues for families, K–12 schools, nonprofits and businesses that serve children. McFarland spoke during Demo Day about the role of mobility in increasing kids’ access to athletics. “Inability to access safe and reliable transportation means so many kids across the income spectrum miss out on key activities such as youth sports,” she explained. Pointing to the iconic quote from the film Field of Dreams, “If you build it, they will come,” McFarland added, “What I’ve learned is it makes no difference what you build if your audience has no way to get there.” Her company wants to get kids to the fields so they can develop a lifelong love of the game—and enjoy all of the positive physical, educational and social benefits that accompany sports participation. Caffeine allows friends to consume live TV together, in a way Keighran described as “like being on a video phone call with them and the content, all at the same time.” He noted that users have responded to the immediacy of the video, simplicity and the positive and diverse community; and he believes this new format will change how people all around the world experience live television. Uncharted Power CEO Jessica O. Matthews sees herself as “real-life Shuri,” referencing the fan-favorite inventor and tech whiz from Marvel Studios’ Black Panther. Dividing her time between Nigeria and the U.S. while growing up made Matthews aware of the disparity in energy infrastructure in developing and developed worlds. Matthews’ company specializes in harnessing the energy from motion to create entire ecosystems of power for communities around the world, with an innovative system that resembles a sidewalk or paver stone. Hidden inside, Matthews says, is “a one-stop shop for modular smart power delivery” that functions both as a decentralized power grid and data infrastructure. “When you’re given the opportunity to innovate with a blank slate, you can dream of the world not as it is, but as it should be,” Matthews shared. Ubiquity6’s augmented reality (AR) platform is focused on bringing people together, using AR technology to turn an office into a basketball court or allow hundreds of people to paint on the ceiling of a museum in real time through their cameras. “I think that we’re finally on the cusp of a new change in consumer behavior where we can stop looking down at these things and isolating ourselves, and look through them into shared reality that lives on top of our daily lives and allows us to go back to looking at each other again,” Midha said at Demo Day. Pravin Prakash, co-founding student and chief marketing officer of BYJU’s, and his team set out to solve the problem of how to increase access to quality education in developing countries like India and educate residents for the jobs of tomorrow, which may or may not even exist today. “I believe the only way we can prepare the future generations to lead us is to educate them in a scale which makes it possible only using technology, and making it engaging for them by making it entertaining,” said Prakash. 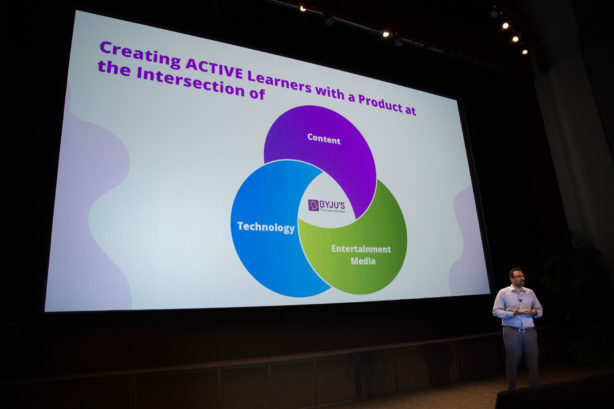 BJYU’s, which has a student base of 25 million, is at the intersection of education content, media and technology, and connects users with highly differentiated, personalized video content. BJYU’s is India’s largest edtech company, but Prakash maintains they’re just getting started. Reaching less than 10 percent of students in India, with products designed for students ages 9–18, Prakash announced the launch of a new product for younger learners, ages 3–8, that consists of colorful and engaging educational content that introduces kids to a world of concepts through narratives, games and activities that provide fun ways to learn. The 2018 Disney Accelerator Demo Day concluded with a TED fireside chat with Fadi Chehadé, member of the World Economic Forum’s Center for the Fourth Industrial Revolution advisory board, a highly successful entrepreneur and the former CEO of ICANN and former General Manager of IBM Global Technology Services in the Middle East and Africa. 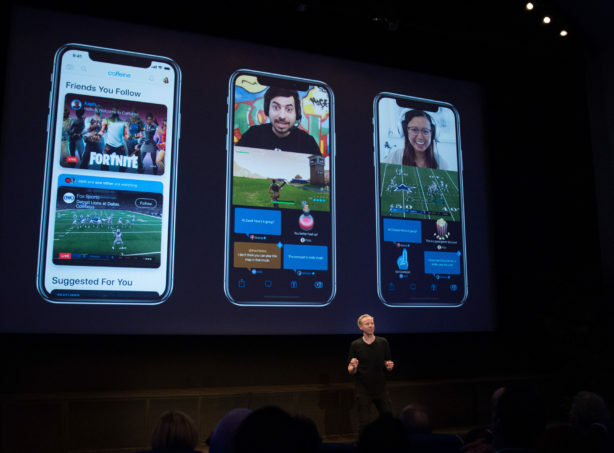 Chehadé provided a glimpse into to the future of the media companies’ relationships with their audiences, noting that the companies who see users as partners will be the ones that ultimately will succeed.